Michael Franklin, 28, of Lee Acres, FLA, rolled this 2003 American Iron Horse motorcycle on FM-350 North. Motorcycle Crash, Driver Flown Out, MOSCOW, April 6, 2012 - Shortly before 6 pm on April 6, 2012, a 2003 American Iron Horse motorcycle driven by Michael Shane Franklin, 28, of Lee Acres, Florida, was east-bound on FM-350 North (about 2 miles from US-59). Franklin apparently went into a curve going to fast and veered into the lane of oncoming traffic. According to a witness who was in the opposite lane of travel, Franklin veered into the oncoming lane and then completely lost control. The witness stated that the motorcycle and Franklin rolled several times on the pavement before coming to rest in the west-bound lane of 350. Americare Ambulance Service was dispatched to the scene along with Troopers Donny Akers and Joe Cole (both with the Texas Highway Patrol). EMS personnel from Americare treated Franklin at the scene and transported him to Corrigan where he was transferred to a PHi Air Medical Helicopter and flown to Hermann Hospital in Houston with undisclosed injuries. Traffic was slowed down at the scene, but not blocked during investigation and cleanup. According to Trooper Akers, Franklin will be cited for failure to control speed and improper license to operate a motorcycle. 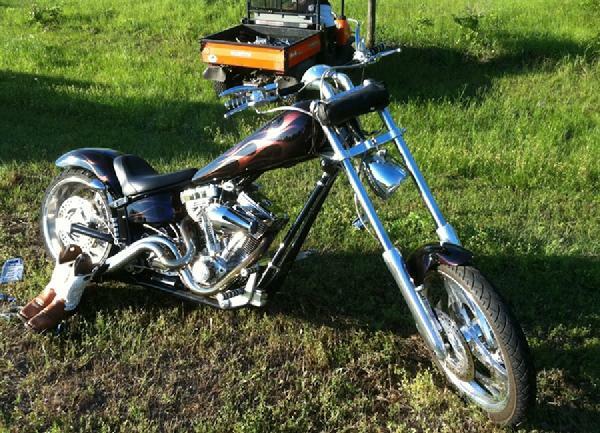 Franklin's motorcycle was drivable and driven away from the scene by his father. 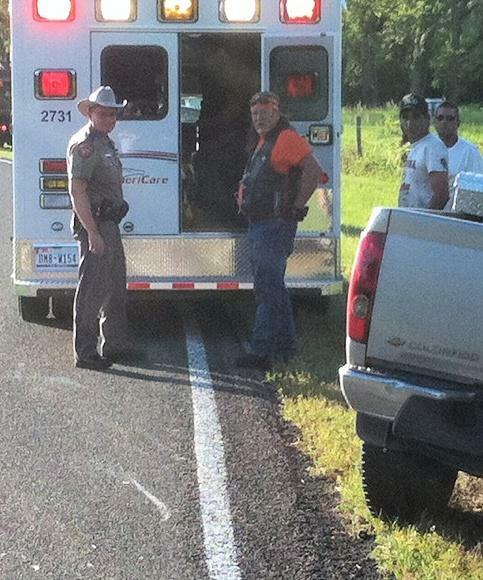 Franklin's father (wearing black vest) speaks with Trooper Joe Cole as Franklin is being worked on in the back of an Americare Ambulance. The father was riding on another motorcycle when the crash occurred. 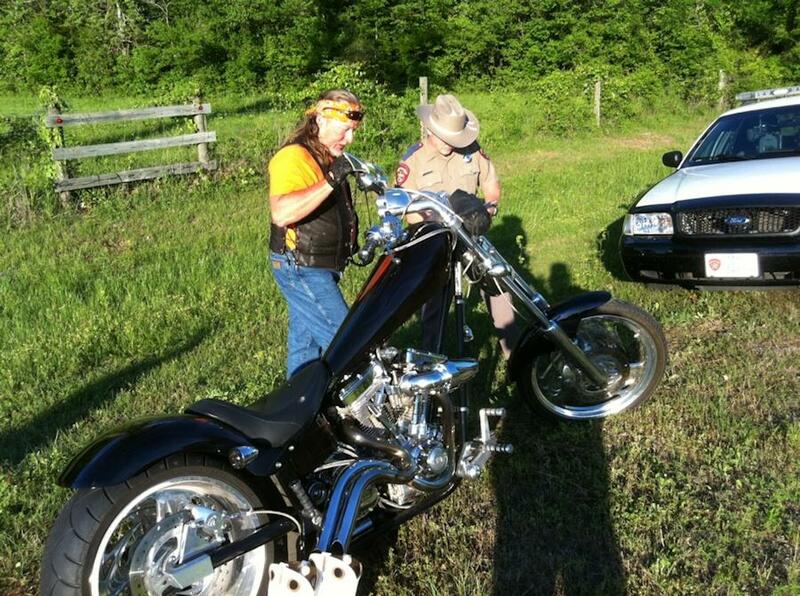 Trooper Donny Akers gets information from Franklin's dad. 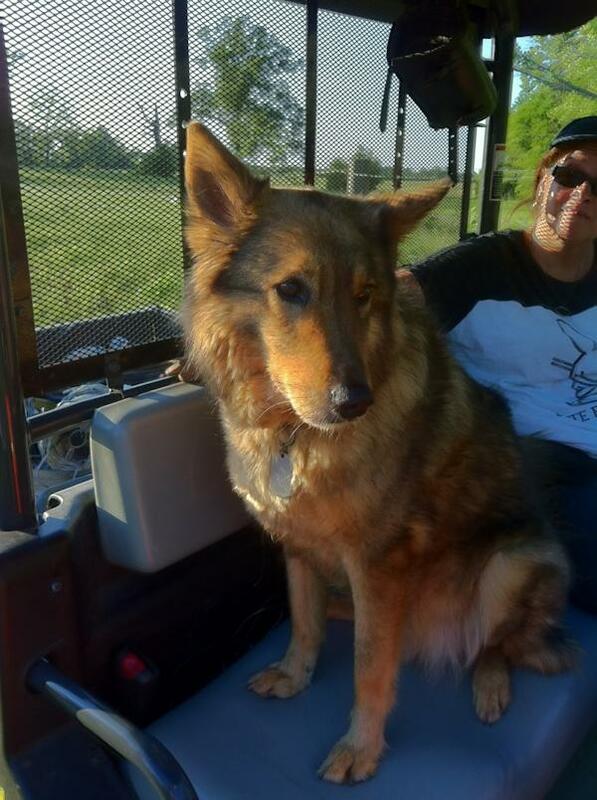 A local dog (named Leo) watches from his golf cart.